The Mashpi forest is transformed at night, with far more activity than during the day. This lagoon lies a short walk along the road from the hotel, where a waterfall and river form a beautiful pond. 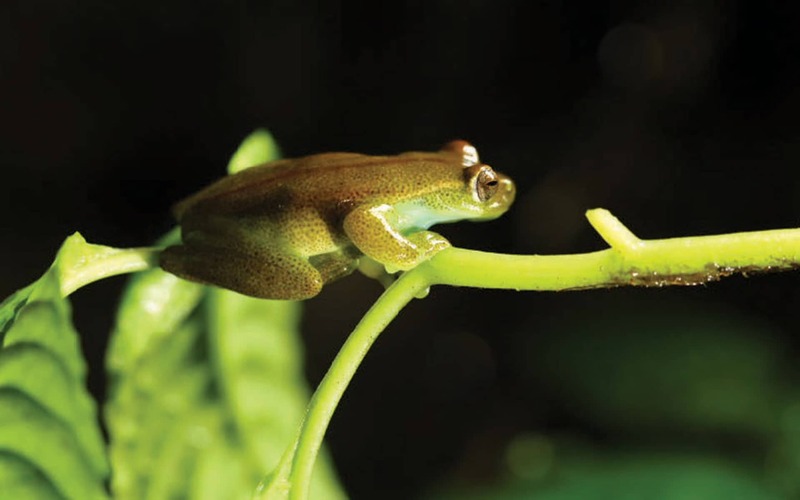 This is the ideal habitat for various species of frogs – rain frogs, glass frogs and tree frogs – as well as other fascinating species we might encounter. In this lagoon, our scientific investigation team was able to discover a new species for science: the Mashpi Torrenteer. Its Latin name is Hyloscirtus mashpi, which means guardian of the river.